A common overdate, but many have been cleaned or damaged in some way. The early die state is likely less common than the later die state with the filled loop of the second 8, where overall the rarity is a 2. 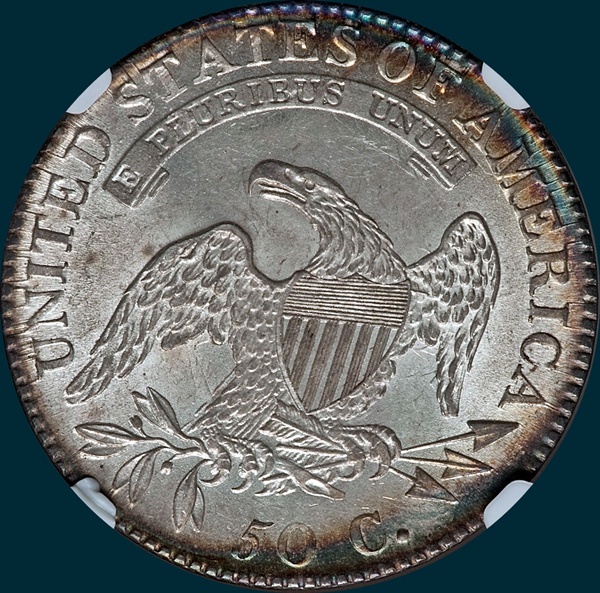 There are several MS coins out there with the Kaufman MS66 topping the list. 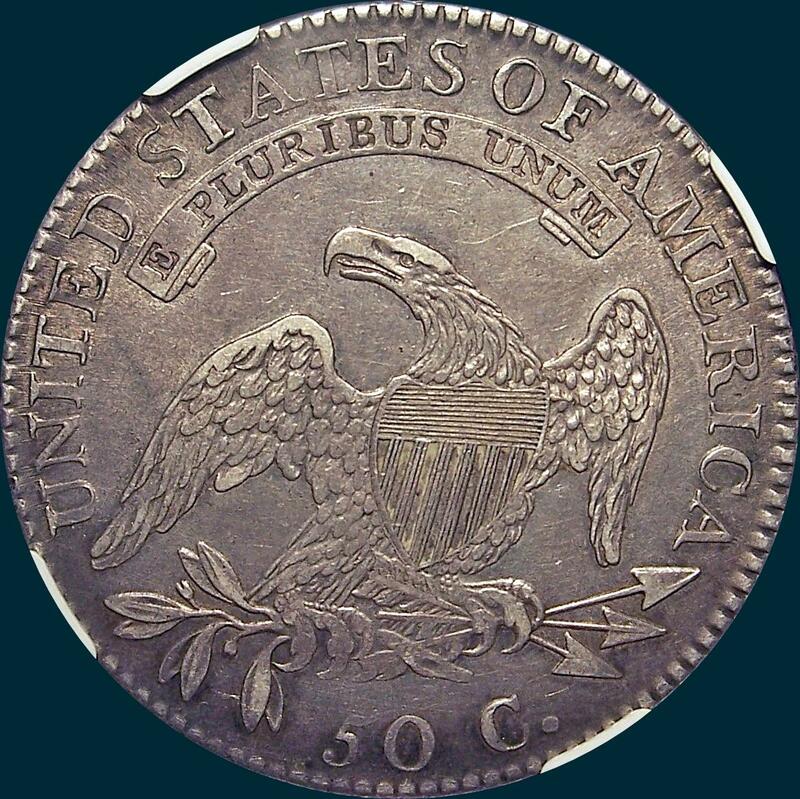 NGC Graded AU50. A gray-toned example that has subdued luster. The details are all there and the marks are minimal. 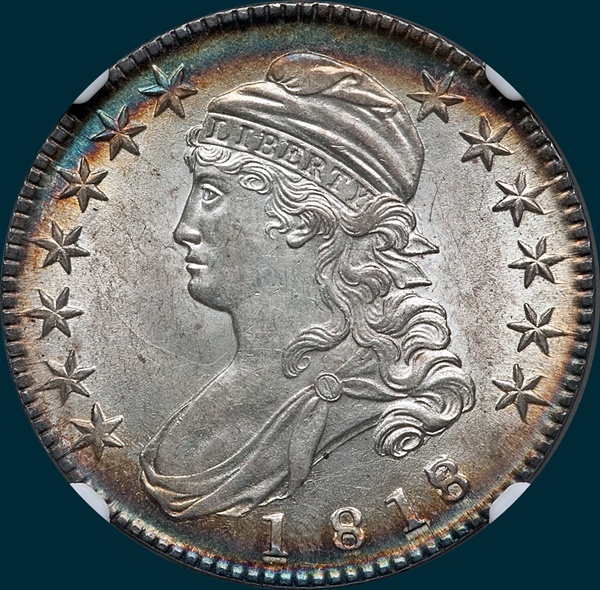 From Heritage: The second overdated obverse with small first 8 in the date. Light, even wear crosses the high points of the well struck devices. Luminous with soft rose and orange elements against otherwise slate-gray surfaces. 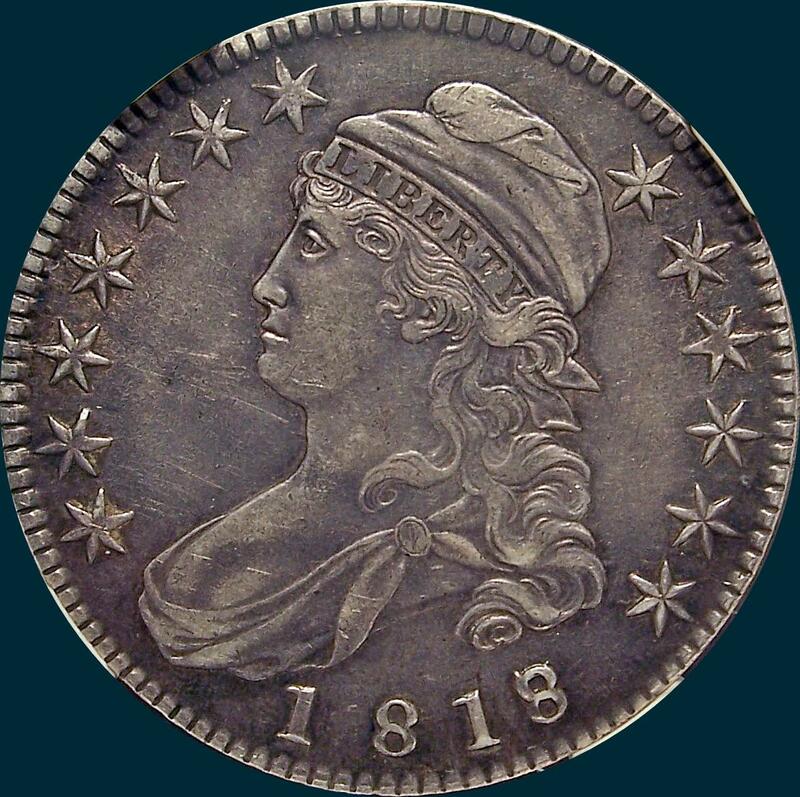 Variety Attribution: Obverse- 1818 over 17. Stars well formed. Date is 11 mm. The first 18 is wider than 818. Upper serifs of 7 just visible above 8. First 8 is as small as second 8. O-102a: Die break in upper look of 8 almost filling it. Reverse- 50 C. is 2 mm. Arrow to A is 3/4 mm. AM nearly touch, with base of M lower than either A or E. Second crossbar extends to right.